Is Disneyland About to Expand? Having just celebrated 60 years this summer, Disneyland could be "imagineering" a major expansion — possibly including Star Wars and Marvel themed attractions. 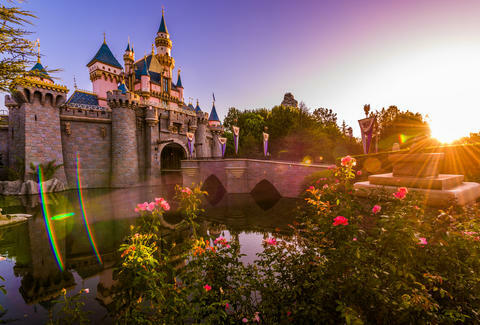 A branch of the Walt Disney Company recently purchased parcels of land near the Anaheim, CA theme park and resort wonderland, leading to speculation the additional land could be used to expand the park or to free up space for new attractions, according to a report by the Los Angeles Times. The new land totals about 15 acres, which is plenty of room for a scaled down Death Star, right? But perhaps it's too early to break out your lightsabers and droids, as a spokesperson for the resort declined to comment on future expansion plans for the Times' report; however, the company said such an expansion would actually happen within the park's existing borders, while the new land will be used for boring things like parking and office space. Then again, parking is always such a phantom menace. In the end, though, it appears the force is awakening at Disneyland. Earlier this year, Disney CEO Robert Iger said the company has expansion plans for the park, but wouldn't reveal any details, according to the report. Disney owns the rights to Star Wars and Marvel super hero characters after purchasing both Lucasfilm and Marvel Entertainment in recent years. Tony Merevick is Cities News Editor at Thrillist and has only visited Disney World in Florida, but wouldn't mind checking out Disneyland some day. Send news tips to news@thrillist.com and follow him on Twitter @tonymerevick.